RTI’s Manager of Product Management, Lee Johnson announces the release of Connext 6, the latest version of the industry-leading Connext DDS software that has been in development for the last 2 years. Learn how Connext 6 and its new features address the needs of cutting-edge IIoT systems. 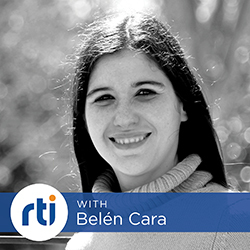 In episode 34, we speak with Belen Cara, Senior Support Manager for RTI. Belen and her team help customers quickly troubleshoot and solve technical issues related to their mission-critical systems. 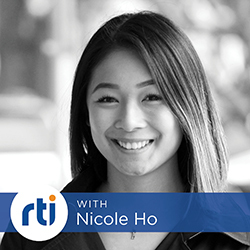 In episode 32 of The Connext Podcast, we’re joined by Talent Partner Nicole Ho. 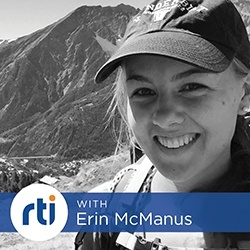 Nicole talks about her recent visit to one of the top engineering schools in the U.S. and how students responded to the top 10 reasons to work at RTI. 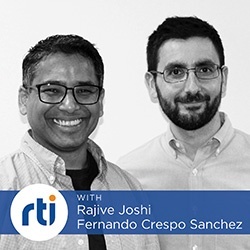 This week on The Connext Podcast we’re joined by RTI’s Rajive Joshi, Principal Solutions Architect, and Fernando Crespo Sanchez, Product Architect. 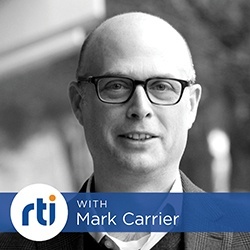 Learn what it takes to design large industrial systems for scale using DDS, and gain a preview of RTI Connext 6 (coming Q1 2019). In episode 29 we learn what’s new in Connext DDS Micro. 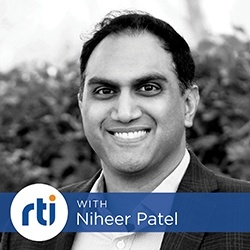 RTI Product Manager Niheer Patel walks us through the new features and explains the challenges faced in the market that will be addressed with the release of Connext 6. Autonomous systems expert Bob Leigh introduces RTI Connext 6, built to address the common challenges of autonomous systems. Learn what it takes to get an autonomous vehicle on the road and how the disruption of the transportation industry will change the future. This week we’re talking about administration and monitoring with a focus on DDS systems, and how Connext Tools can help. 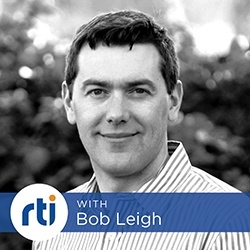 We continue our discussion with Ken Brophy, Principal Software Engineer, as he discusses how to use RTI Tools to improve performance in operational monitoring and customer system integration. Debug, test and design your system to help you meet your operational requirements with Connext Tools! 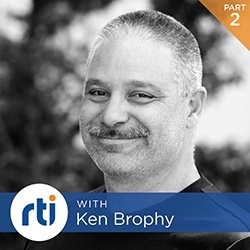 This week we kick off the first of a three-part podcast with RTI Principal Software Engineer, Ken Brophy. Learn about RTI Connext Tools and how organizations are using them to increase productivity and results in their Industrial IoT environments. In episode 24 we take on realistic simulations through real-time data exchange. 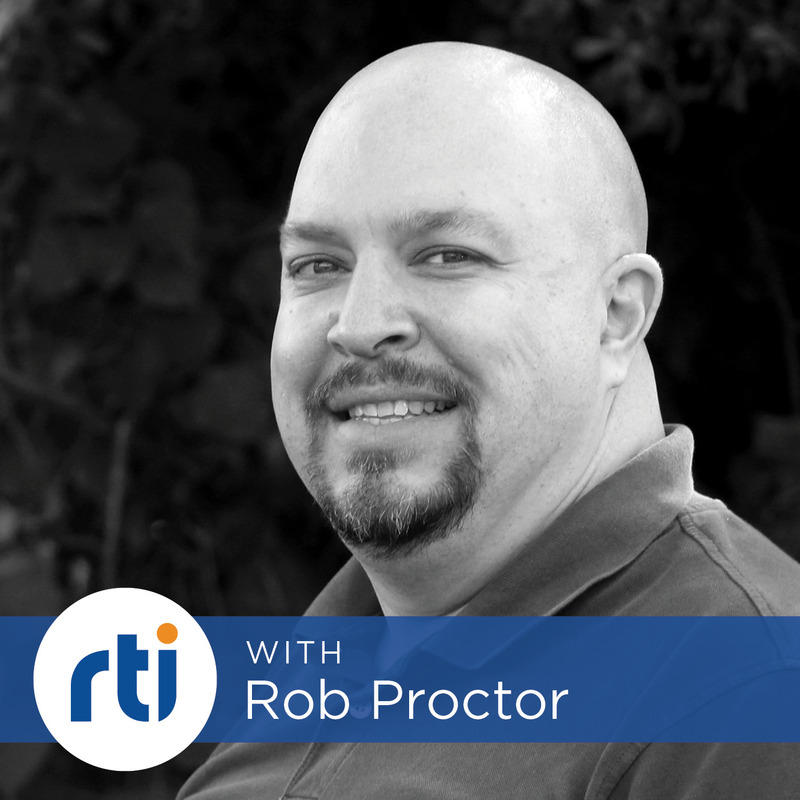 We’re joined by simulation expert Rob Proctor, Field Application Engineer for RTI. Rob’s extensive knowledge of the Training and Simulation space helps us understand the latest trends and challenges in simulated training and testing environments. We’ll also discuss how other industries, such as healthcare and autonomous systems, can benefit from this type of technology. 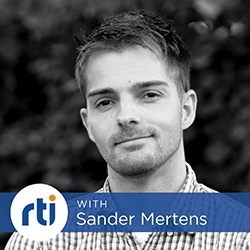 In episode 23, we continue our discussion of performance benchmarking with Sander Mertens. In part 2 we learn how to find the best optimization tools and which statistics are most important for measuring the performance of your IIoT system. We’ll also dive into Connext DDS Secure with an interesting podcast twist. 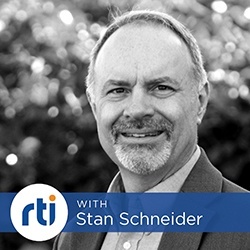 Stan Schneider is the CEO of RTI and author of the eBook, The Rise of the Robot Overlords: Clarifying the Industrial IoT. Find out what the rise of the robot overlords means and how it will impact the world as we know it. We also discuss the ins and outs of autonomous vehicles and how companies building IIoT systems need to be thinking about security. 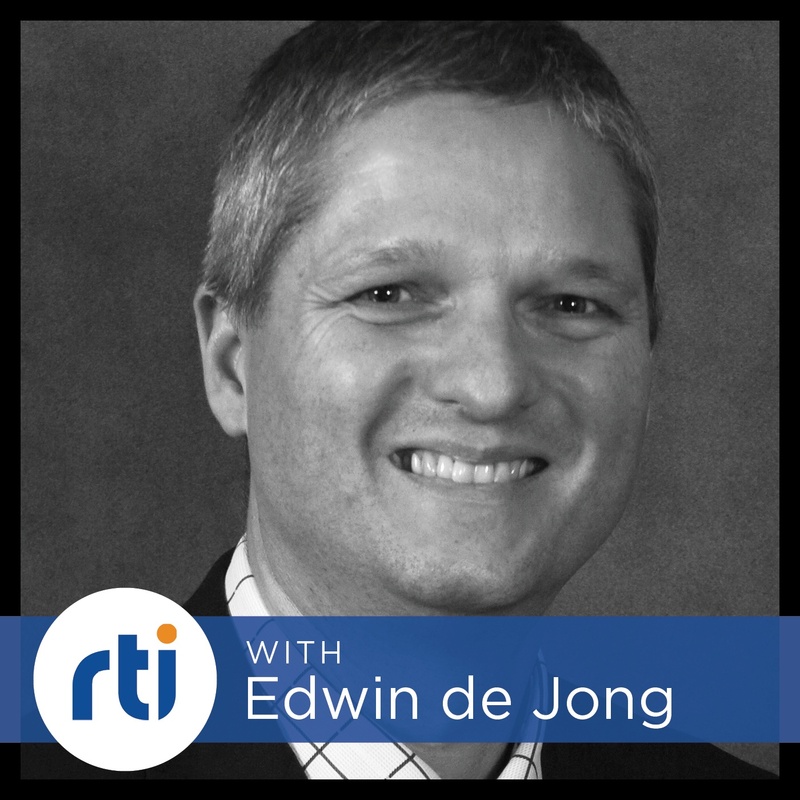 In this episode, we speak with Sander Mertens, principal applications engineer at RTI. Find out what Sander discovered when he compared performance metrics between RTI Connext DDS and open source DDS implementations. Also, learn how to consider these metrics when scaling your distributed systems. 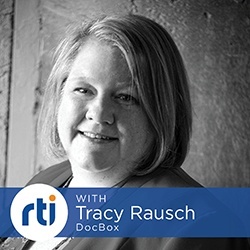 Tracy Rausch is the co-founder of DocBox, a company developing an advanced clinical process management solution for hospitals. 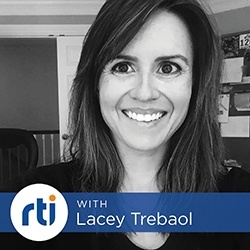 In this episode, Tracy explains how device connectivity can eliminate medical errors and improve clinical workflow. We’ll also discuss why data centricity is similar to the thought process of a physician and what the future of the healthcare industry will bring. 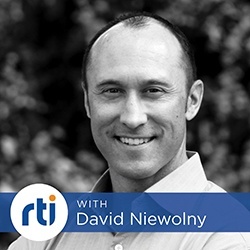 In this episode we interview David Niewolny, market development director at RTI, to talk about how the IoT is impacting the Healthcare industry. We’ll discuss how medical companies can enhance current healthcare practices by implementing connected, real time devices that improve the patient experience, and most importantly, reduce the number of medical errors that occur in hospitals every year. 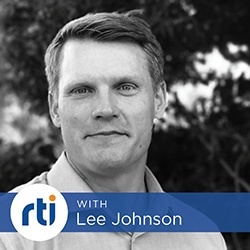 In this episode we interview Lee Johnson, product manager at RTI, to learn about RTI Labs, a program that provides developers with early access to advanced, IIoT technology. And the best part is, it’s free! We’ll also talk about the newest addition to RTI Labs - Log Parser. In episode 17, we continue our discussion of autonomous systems with Daniel Gandhi. In Part 2 we learn more about how his early work allowed him to apply his technical background to solve some of the biggest challenges in autonomous vehicles involving safety. 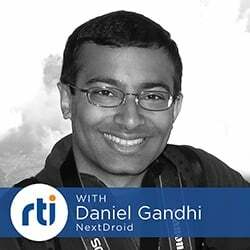 To kick off season two of The Connext Podcast, we interview Daniel Gandhi, Director of Autonomous Vehicles at NextDroid. In episode 16 find out what it takes to get an autonomous vehicle on the road, how to best combine machine learning with deep learning and AI, and what the technical requirements are for complex autonomous systems. In Episode 15 of The Connext Podcast, Winter Break is announced, an RFI is broadcasted to users and anyone curious about Connext DDS and we look back at 2017. Bonus: Do you know what RTI Labs is? Listen and learn! 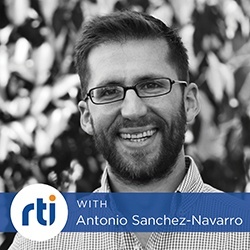 In this episode of The Connext Podcast, we talk to Antonio about the challenges of integrating and scaling complex systems and applications. 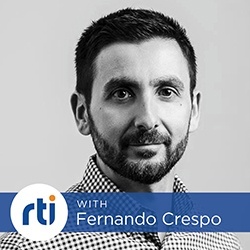 It just so happens that Antonio worked on the development of Routing Service and Cloud Discovery Service, both of which can be used to help with these tasks! DDS, OPC UA, WIS, oh my! 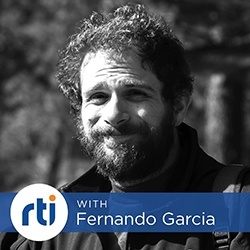 In Episode 13 of the Connext Podcast, we talk to Fernando Garcia about integration technologies and defining open standards. You'll learn about some of the standards we are helping to develop, specifically those that ease software integration. Connext DDS 5.3 is loaded with new features to help you build amazing systems and in Episode 12 we’re interviewing Fernando Crespo, Product Architect, to learn all of the details behind the new features available in 5.3. If you’re curious whether or not 5.3 could be a part of your system solution then this episode is for you. 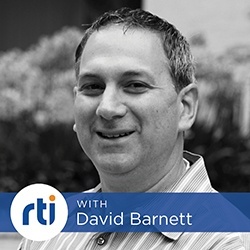 In this episode of The Connext Podcast, David Barnett, VP of Products and Markets, explains IIoT challenges in the context of market problems and describes how brand new features included in Connext DDS 5.3 are the ideal way to solve them. The journey from student to Senior Software Engineer is one that many of our listeners are familiar with, but what happens when you throw a dose of management into the mix? In this episode, Erin shares with us the details and insights gained from her experience, as well as the BEST response to "Explain DDS to me like I'm 5" we've heard to date. With benefits that touch everything from data integrity to integration and test, it’s no wonder Recording Service has fans! 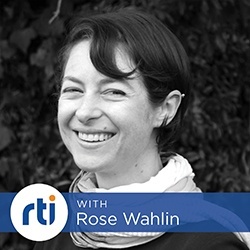 Hear all about the Next Generation of the product straight from the dev lead, Rose Wahlin. Join us for Episode 8, Part 3 - the final part! - of the audio version of our popular eBook, "Leading Applications and Architecture for the Industrial Internet of Things. Join us for Part 2 of the audio version of our popular eBook, "Leading Applications and Architecture for the Industrial Internet of Things," written by Stan Schneider and read by Lacey Trebaol. If you've been looking for an introduction to the IIoT, look no further! 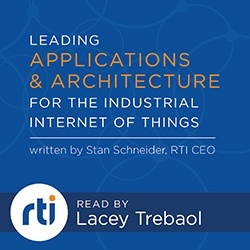 In this episode, we're sharing an audio version of our popular eBook, "Leading Applications and Architecture for the Industrial Internet of Things," written by Stan Schneider and read by Lacey Trebaol. Tackling security for IIoT systems goes beyond technical challenges to include business motivations and vendor coordination. 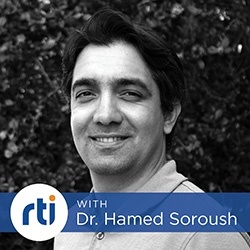 In Episode 5, Dr. Soroush takes us on a tour of security efforts and discusses how the Industrial Internet Consortium (IIC) is making strides to advance the development of security for the IIoT. How do you maintain an amazing culture when your fast-growing engineering team is distributed around the globe? 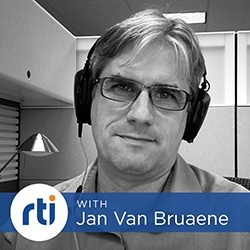 Jan shares his insights on this and more, in Episode 4 of The Connext Podcast. Learn about the IIoT and how your choice in communication protocols can allow you to meet even the most challenging system requirements. In Episode 2 of The Connext Podcast, we continue our discussion of ROS and the challenges in securing robotic systems. We also touch on how aspiring engineers can prepare for a career in security or robotics. 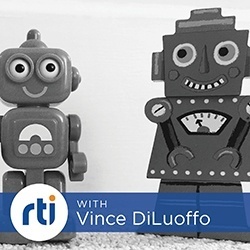 Learn about the transition from ROS 1 to ROS 2, the challenges in securing robotic systems, and Vince’s PhD thesis (it’s going to be a challenge!) in Episode 1 of The Connext Podcast.